A one-point loss or a 50-point loss, it is all the same for Tom Brady, who insisted there is still plenty of football left to play after the New England Patriots' heartbreaking loss. The Patriots fell to the Miami Dolphins 34-33 on Sunday following a stunning last-gasp 69-yard touchdown on the road. 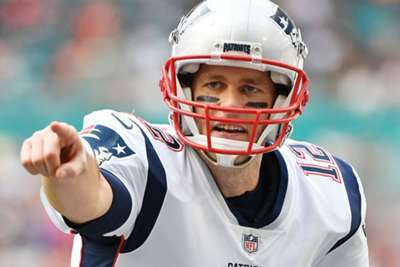 Patriots quarterback Brady remembered some of the team's tough losses from the past but remained positive ahead of a showdown with the Pittsburgh Steelers. "We've had a lot of tough losses over the years. We lost pretty important games," Brady Monday during his weekly interview on sports radio station WEEI on Monday. "What's the difference between losing by 14 down there, losing by 50, or losing by 1? They all count the same. "Mental toughness is mental toughness. You realise that a lot of things had to go right for them to win, and they did. You know, give them credit. They made some important plays." Brady broke down New England's road struggles, which continued at Hard Rock Stadium. He said the losses in week two against the Jacksonville Jaguars and week three against the Detroit Lions were due to slow starts, while the clash with the Tennessee Titans was because their opponents physically outplayed the Patriots. But against the Dolphins, Brady said, "We had every opportunity to win that game." "So it's not [that] I don't think we can win on the road. We've won on the road, played well on the road. We just have to close the deal," he added. New England, who are atop the AFC East at 9-4, will have a chance to even their road record in Pittsburgh in week 15. "We still have a lot of football to play. There was a lot of positives from yesterday's game that we have to kind of use going forward, that we will use going forward. Our whole season is ahead of us, so let's make the most of it," Brady said.